Carthage also called Kartago is a city situated in Tunisia (North Africa) which has existed almost 3000 years. In the sixth century, this rich and powerful Phoenician city controlled the maritime and commercial activities of the Mediterranean Sea. 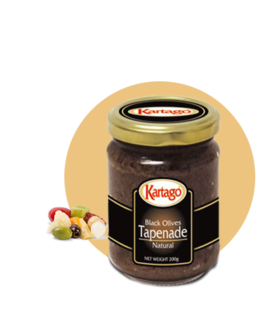 Known as a “commercial empire”, Carthage made a fortune thanks to trading its very appreciated foodstuffs. 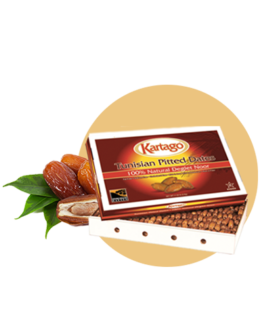 Kartago brings you the most appreciated variety of dates in the world, the peerless Deglet Noor. Our family has been devoted, since the 19th century, to growing several varieties of thousand-year-old dates characteristic to the region. 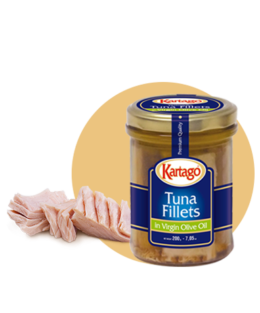 For thousands of years, olive oil had been prominent in all the great civilizations that have prospered in Tunisia . 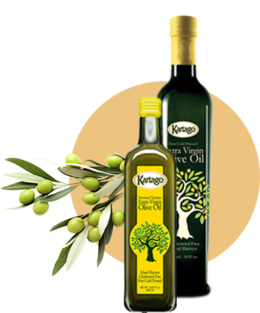 The olive tree was cultivated by the Phoenicians, the Greeks, the Carthaginians, the Romans and the Arabs, in a tradition that has been passed down from father to son ever since. grown and sun-dried in the South of the Mediterranean. 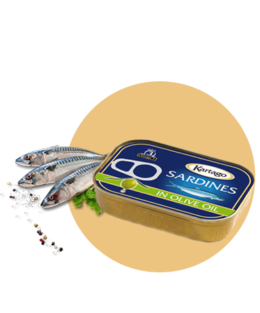 Tunisia is renowned for the quality and mildness of Mediterranean sardines, as well as for its formula for tuna canning. 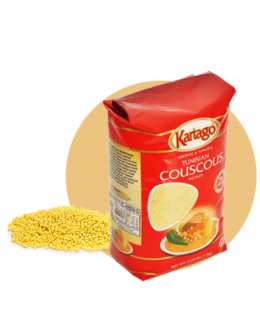 Kartago couscous is made in the tradition from the finest durum wheat semolina flour. 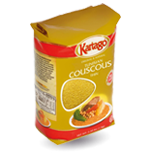 Kartago offers you the best Mediterranean flavors such as the Tunisian couscous. Couscous is a traditional Berber dish of semolina which is cooked by steaming.